UPDATE: The issue has been resolved. If you are stuck with a crashing app, just re-install it. 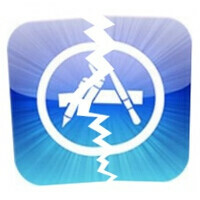 Did you recently update one of the apps on your iPhone only to find out that the new version crashes upon launch? You are not alone, it seems. It is being reported that a number of applications have been affected by an encryption glitch, which prevents them from starting. The issue was brought up by Marco Arment – the maker of Instapaper, who was informed that the software did not behave quite right after the latest update. In a nutshell, the main symptom of the glitch is that the affected app crashes the very instant you launch it even after it is deleted and reinstalled. It is also being noted that only applications distributed in certain regions are being affected. For example, many of the copies of Instapaper downloaded in the U.S. and the U.K. have been acting up, while users in Australia say that the app is working as it should. Thankfully, Apple is already working on the issue, and at least Instapaper should be working fine for everyone once again. That is not yet guaranteed for the rest of the apps on the list. Speaking of which, here are the apps that are known to have been rendered unusable after being updated. If you have any of them isnstalled, try reinstalling the software in question in order to obtain a working copy from the App Store. If it is still misbehaving, you might want to wait a bit longer until the issue gets resolved. Try this link. GoodReader sent me this and it fixed my problem. I think it would work for any other program as well. "http://www.goodreader.net/gr-3150crash.html"
Thank goodness I have none of those apps.